Full size body scrubs for only $12.50. RITUALS scented candles are among the most luxurious and stylish of ways to surround yourself with gentle flickering light and wonderful fragrance. In keeping with the ancient oriental traditions we uphold, the energising, relaxing and purifying ingredients of our fragrance candles will bring an atmosphere of peace and warmth into your home at the end of a long day, when friends or family come over and whenever there's a chance to slow down. Dim the lights for a relaxing atmosphere and illuminate the room with some warming candles. On a par with the world's most luxurious perfumed candles, RITUALS scented candles combine the finest quality wax with fragrances created by top Parisian perfumiers and have approx. 50 hours burn time. Choose the Ritual of Sakura or Lotus Secret for an atmosphere of calm and relaxation, the Sweet Sunrise candle for refreshment with refinement, or the Ritual of Samurai men’s candle for masculine woody notes. For an even richer, more intense experience, add RITUALS fragrance sticks from the same collection. Ideal for bigger rooms or to create a wonderfully opulent effect, our 1000g Extra Large scented candles have three wicks and approx. 70 hours burn time. And, if you're after something truly exceptional, RITUALS Private Collection includes 8 exquisite perfumed candles in authentic and rich fragrances inspired by Arabia, Byzantium and ancient Persia. Transport yourself to faraway places with their warm, sensual and luxurious fragrances. Experience them all with the Private Collection mini candle giftsets (black or white). 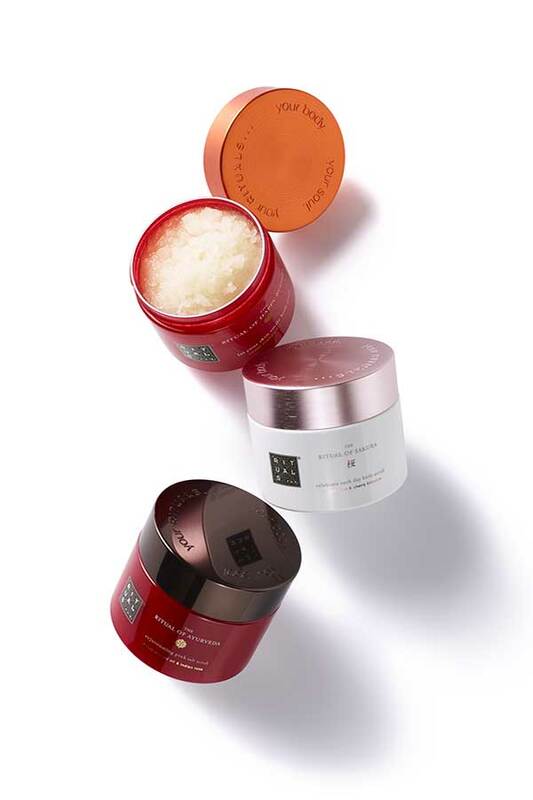 Give your loved ones the luxury of fragrance candles from RITUALS. Poured into beautiful glass containers and smartly boxed, all our candles make perfect presents. If you need more inspiration our quick Gift Finder is always at hand. And when you order online here at our official website, we'll even wrap your gift and send it direct to your recipient with your personal message. It's that easy!